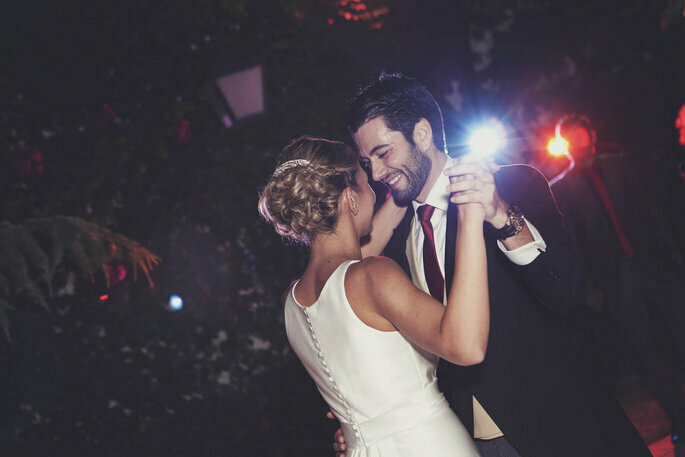 Waltz into the night with our top tips on how to choose the perfect song for your 2016 wedding. Maybe you’re secretly hoping to channel your Strictly Come Dancing moves or perhaps your groom-to-be is dreading flaunting his footwork in front of all your guests. But your first wedding dance song cements your status as a newly married couple. If you don’t already have a ‘song’ there are countless options to choose from but remember, the song you pick will be ‘yours’ for the rest of your lives together! But don’t worry, to help you pick, we’ve complied a few top tips to ensure ‘your song’ is worth replaying forever! He may like indie rock and you’re into cheesy pop, but finding a shared musical taste will make things easier for the both of you when it comes to choosing a song. Think to back to your first date, first kiss etc. and recollect any songs that were popular at that time. Are there any special songs that stick out for the both of you? Find a set of lyrics that tell the story of your relationship rather than a generic love song. This will make your first dance more meaningful and special for the both of you. You don’t need to be a professional dancer or hire a choreographer but you both need to feel comfortable with a song that you can actually dance to! Everyone loves a good old-fashioned romantic song from the likes of Celine Dion, but if that doesn’t suit your taste, don’t be afraid to choose a song that’s more upbeat and shows off both your personality and relationship! If you get really stuck or can’t agree on a song, why not review a list of popular wedding songs. This might prompt some ideas or you might find one you both like! 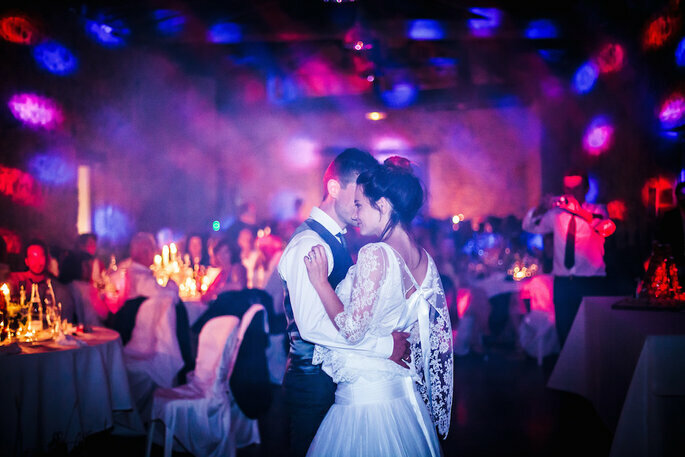 If you want your wedding guests to join you on the dance floor after the first few moments, choose a song that they might know and don’t mind dancing to. 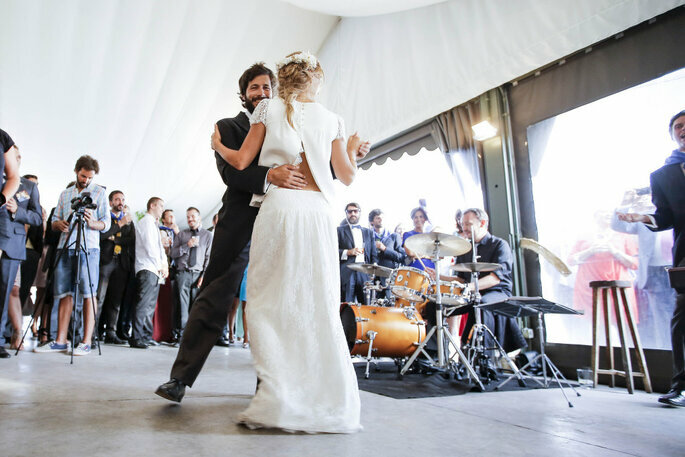 If you’ve hired a live band, make sure that they can play your first dance song. Listen to them rehearse the song and see if it fits your needs. And with all this info in mind, hopefully you’ll be able to choose the perfect wedding song and waltz into the night!